Dr Niklas JRM Schmidt, TEP, is a partner at Wolf Theiss, the largest Austrian law firm. He has been admitted as a lawyer and as a tax adviser. His areas of specialisation include tax law and private clients. Mr Schmidt is frequently engaged as a speaker at tax conferences and has been a visiting lecturer at various universities. Currently, he is a member of the examination commission for the certified financial planner exam in Austria, and he sits on the editorial board of the SteuerExpress magazine. 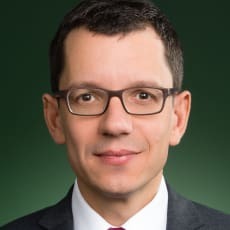 Furthermore, Mr Schmidt is a member of the International Fiscal Association, the International Bar Association, the International Tax Planning Association and the Society of Trust and Estate Practitioners. He has been named one of Austria’s top 10 tax lawyers in the Austrian magazine TREND and is ranked in tier 1 by many international legal directories.